It is quite simple to stereotype 'ceramic' paint protection these days because the past couple of years saw many manufacturers spanning from east to west with similar bold claims of their nano goodness and performance. If you have read my previous post, it would have been clear that ceramic coatings are indeed a superior paint protection polymer over wax and sealants. Having talked to numerous nano coating applicators during my "market survey", it is clear that the market is saturated with many vendors and applicators who often result to much hard selling. 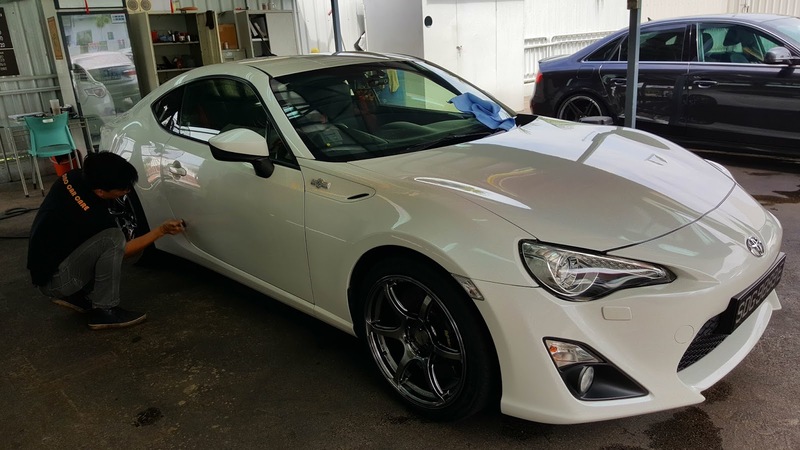 At the end of the day, I was to get my Toyota 86 nano coated at the most reasonable cost, review the workmanship of the chosen applicator and the quality of the product. A month ago, I opted for the Beeds Ceramic Coating to be done by Lewis, the owner of Dino Car Care. Dino Car Care was no stranger to me because they happened to be located at my regular gas station near where I live, one of the two outlets of Lewis's operation. Having exchanged some previous chats with Lewis, I could tell that he was competitively priced and he takes pride in his work because he does all the hard labour himself as well. That's him right there in the photo. While the highlight of the Beeds was the water beading effect, it's worth mentioning that a good coat only results from good preparation. Lewis prepared the surface of my car with a good wash, an IPA wipe down with the surface clayed prior to the application of Beeds Ceramic Coating. There wasn't a need to machine polish my paintwork because it was stain free and smooth. The end result was pretty impressive. 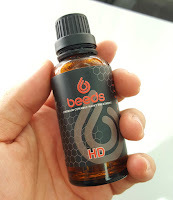 With the Beeds, the gloss was highly visible and obvious. 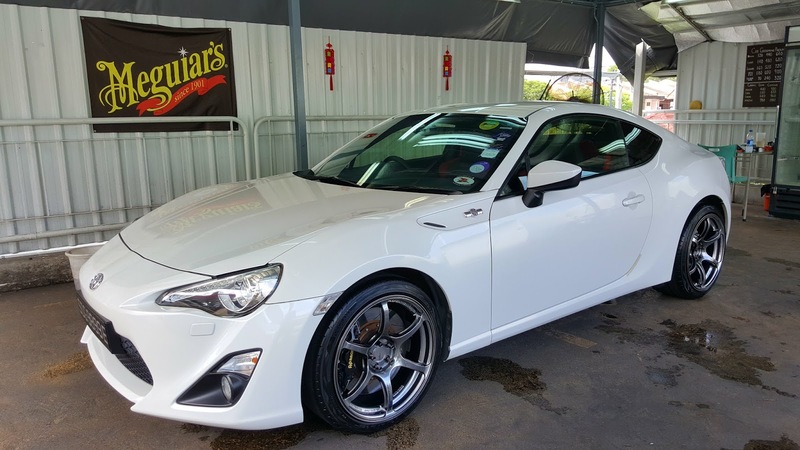 Thus far, I have not seen my 86 this glossy even with wax or sealants. For a price of S$480, the outcome was justified and I must say one of the more affordable nano coating services in the market today. Certainly competitively priced with a very decent level of workmanship and delivery within 3 to 4 hours (depending on initial condition and work needed). For those of you who are considering to have your paint protected at a reasonable cost, I would recommend that you call Lewis for a quote and schedule an appointment. Our vehicle resembles an accomplice of our life, our vehicle will give us the place to voyaging serenely around the city, and by this our vehicle should require some consideration and redesigning on its highlights shape us. The mobile auto mechanic Houston better realizes the vehicle condition and give us the better exhort for specifying or minding our vehicle.